Times Observer photo by Brian Ferry The Warren County Commissioners showed their support for the Allegheny River Watershed Clean-up at their second August meeting by approving a proclamation, allocating $400, and posing for a photo. Pictured, from left, are: Kim Corey, adult probation; Piper Lindell, Allegheny Outfitters; David Snyder, Allegheny River Clean-up; Ryan Arthur, work release coordinator; Commissioner Jeff Eggleston; Commissioner Ben Kafferlin; Warden Jon Collins; Commissioner Cindy Morrison; and Nate Welker, Allegheny River Clean-up. The Allegheny River and Watershed Clean-up is in its 10th year. Volunteers will help continue the effort to make the 2017 Pennsylvania River of the Year even better from Saturday, Sept. 8 through Saturday, Sept. 15. There is a new wrinkle in this year’s event. 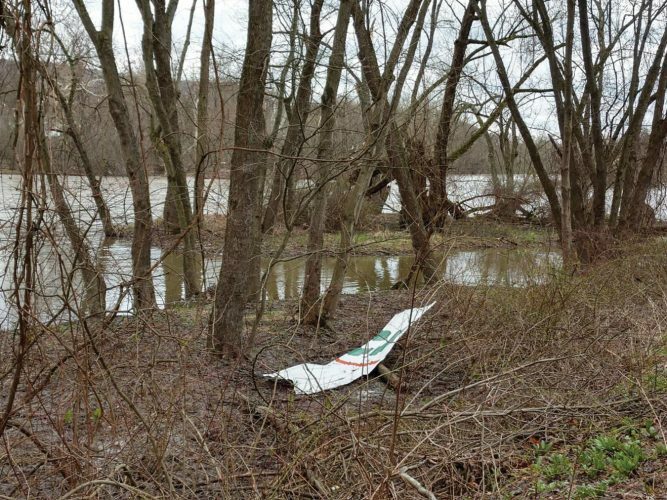 Volunteers will target several “large, historic dump sites,” along Conewango Creek and are advised to bring gloves and digging tools. The rest of the effort — Tuesday, Friday, and Saturday — will cover 24 miles of the river from Kinzua Dam to Wildwood. There will be some work going on during that time. In 2017, 317 volunteers put in 2,536 hours, and took out 5,350 pounds of metal, 94 tires, and 35 cubic feet of trash. Organizers note that high water on three key days kept the output down. “This brought our recycled metal totals to more than 93,849 pounds, garbage to 421 cubic feet, and the tire total to more than 1,428, over nine years,” according to the clean-up website. 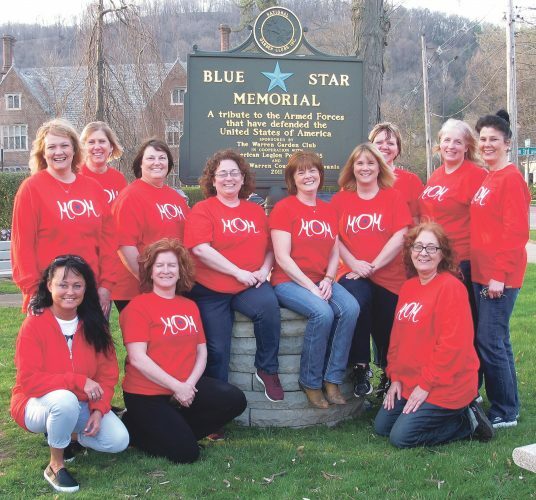 Over those nine years, 3,127 volunteers have donated 25,016 hours of their time beautifying 31 miles of the Allegheny River, 18 miles of Conewango Creek, and five miles of Brokenstraw Creek. The Warren County Commissioners are behind the event, approving both a proclamation and some funding at their regular meeting. 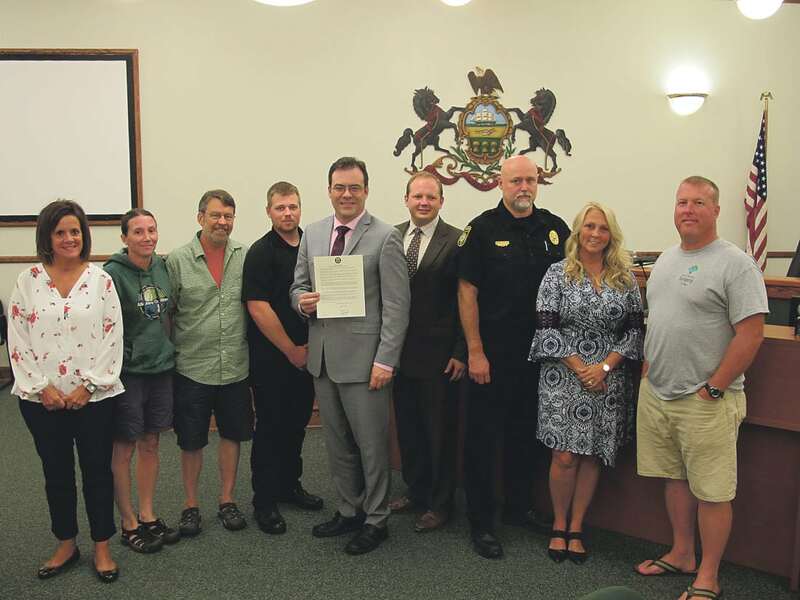 They proclaimed the week of Sept. 9 Allegheny River Clean-up Week and approved a contribution of $400 in Act 13 funds. Act 13 dollars come from unconventional gas well impact fees. Welker in turn thanked the county. “Warren County Adult Probation was key to the very first reservoir clean-up,” he said. He also directed thanks to the Warren County jail and work release program and the Warren County Conservation District. Further details and volunteer signup forms can be found at www.alleghenyrivercleanup.com.